Payments have received significant interest and investment over the last several years. However, no one has created a solution having the complete value proposition of paper and plastic predecessors. On my way into the office every day, I like to pick up a Starbucks coffee and sometimes even a treat. Usually, I have my smart phone in my hand and for this reason, frequently use Apple Pay. It is an advantage to not find my wallet in my back pack and then dig for my credit card. With this said, my wife doesn’t use Apple Pay, and I don’t use Apple Pay for very many of my purchases. And I never use Apple Pay for my online purchases. The reason is that I do not get anything else out of the process other than the convenience of not searching for my wallet at Starbucks. Making matters worse, Apple Pay is not ubiquitous as a payment modality either for point of sale or online. Even worse, all I can see is a transaction was approved and the value of the very last transaction. There is for example no account balance. This makes Apple Pay and Google Pay just another mechanism for performing a credit card swipe or input of data into a computer. However, both could be so much more especially if their makers thought bigger. A bigger vision may involve a step back? In Internet version 1, I founded two companies--Personal Solutions and eBalance--that had a bigger vision for payments and financial management. Much of the IP that created was given to VISA and IrDA (an early alternative to Bluetooth), but VISA ended up not taking the bigger idea to market. So, what is this vision that makes sense to look back at? Instead of just providing a ‘contactless’ mechanism for making payments, we created a duplicate for the entire customer payment experience. Simply put we created an electronic receipt. An electronic receipt has value to consumers, merchants, and the organizations that provide services around them. And the reality is once created and standardized, consumers will want a digital wallet that seamlessly transverses their in-person, mobile, and PC based shopping experiences. Why is there value in an electronic receipt? There is data embedded in receipts for all stakeholders if they are made easy to archive, retrieve, and derive value from. For almost every vendor, receipts are the basis for a full return of merchandise. And yes, some vendors are starting to offer emailed receipts, but how do you easily find a receipt for a purchase made several months back. And who wants to fill their personal email box with yet another item to sort or keep track of. I can personally attest that semi-manually managing receipts is painful. Additionally, receipts have value for existing users of ‘personal financial management’ software like Quicken, Microsoft Money, or Mint. In fact with electronic receipts added to electronic bill pay, it could make these legacy solutions easier to use. From a tax perspective, have you ever tried to calculate the amount of sales tax spent for the year? I have done this and it is painful. What if it could be calculated seamlessly? Standardized electronic receipts has value as well across the entire purchasing ecosystem. They have metadata that could enable more precisely marketing to consumers. Apple and Google are missing a big opportunity by not collected this data and not becoming the consumer repository for this data. With all the predictive models they have, this data is ‘priceless’ as a Mastercard Commercial once implied. Meanwhile, there is value to merchants in creating happy customers because they can take a return when it is appropriate and not do so when it is inappropriate. For those that do not already create e-mailable receipts, this can dramatically reduce their expenditure on paper. Additionally, the existence of a receipt vault for vendors opens the potential of using collected electronic receipts to create small business predictive modeling services so they can create the right offers to the right customers in their digital marketing. 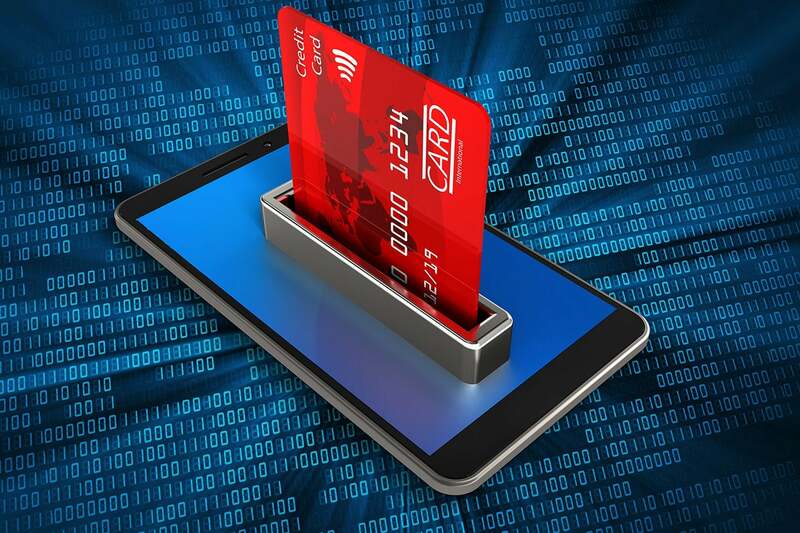 At the same time, electronic receipts can enable Apple or Google to create new and more powerful digital wallets especially when tied to bill pay and banking system APIs or screen scrapping technology. This allows them to create a wallet with all the personal information that matters. Imagine being a consumer on a budget. How valuable would it be to have knowledge when making an expenditure as to how this is going to impact that budget? For example, what is my current balance for my credit card or funds in my ATM card. Or how does a potential expenditure impact other goals like saving for retirement. I don’t know about you, but I loved the Orange Money Commercial of a few years ago. A real wallet would alert me to the impacts and allow me to change spending patterns in real time. Put simply the addition of electronic receipts tied to bill pay opens the potential for a new generation of seamless financial management services and these could even tie be seamlessly tied to online tax services. Imagine being able to create end to end financial management without any work. We nearly delivered this at eBalance. Both Apple and Google have missed a bet with their pay services by not creating end to end services that combine historical data with purchasing recommendation at the very same time. Several years ago, I got to meet the 2nd chairman of VISA. In his office was a sign that read “the more that you try to change consumer behavior the less likely you will be to succeed”. When I asked him a about the sign, he told me about the experience creating VISA cards. He said that when they initiated them, the only cards that could be used were metal and they worked at a single department store. At this time, the US was largely a check and cash country. VISA was different. It could be used anywhere, and they were plastics. The chairman said adoption was slow because they demanded consumers change their behavior. The same is true with new digital payment approaches. Using Apple Pay has advantages. However, as with most digital transformation that are successful, you want the process to either emulate or increasingly improve the replaced process and by doing this make users lives better. I believe that the current generation of solutions needs to take a step back and work to fully emulating the paper process. This way they will change everything.